Port-au-Prince (AFP) - Climate change, cholera and the return of thousands of emigrants from the neighboring Dominican Republican are fueling a humanitarian crisis in Haiti, the UN warned. The impoverished Caribbean nation is facing a deluge of problems, pushing an already vulnerable population closer to the edge, said Enzo di Taranto, who heads Haiti's UN Office for the Coordination of Humanitarian Affairs (OCHA). Among these pressures is a new cholera outbreak. Cases are up 300 percent in the first months of 2015 compared to the same period last year, di Taranto said in an interview with AFP. 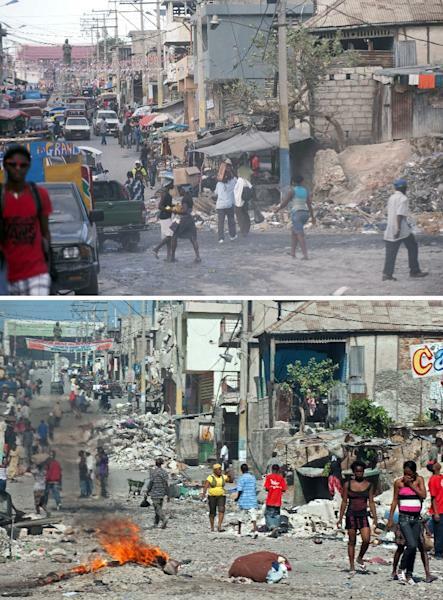 Haiti -- the poorest country in the Americas -- is already suffering from chronic instability and struggling to recover from a devastating 2010 earthquake that killed more than 250,000 people and crippled the nation's infrastructure. A cholera outbreak after the quake was blamed on UN peacekeepers' poor hygiene. According to UN data, nearly 20,000 people have been affected and 170 killed by the disease since the beginning of the year. 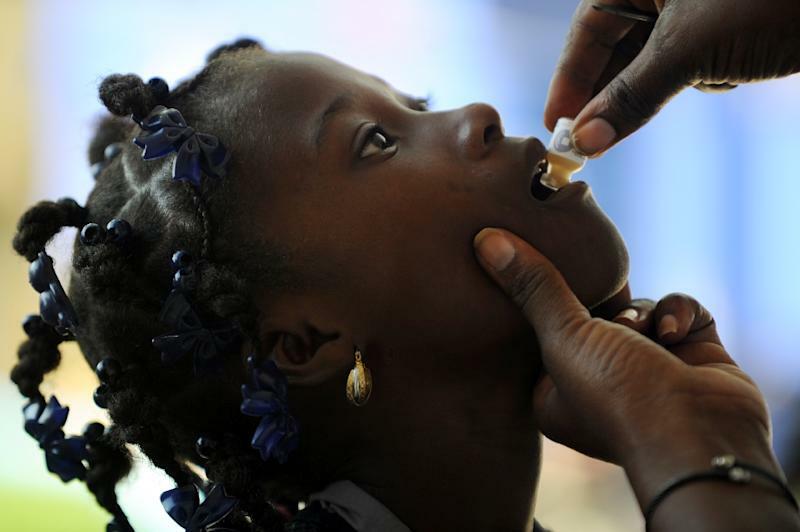 More than 8,800 Haitians have died of cholera since it appeared in October 2010 and, even today, cases recorded in Haiti surpass the total number of people with the disease elsewhere in the world. Out of an estimated population of 10 million, around three million Haitians still are drinking dirty water, OCHA said. Beyond the increase in cholera, the humanitarian situation in the country is worsening because of a "convergence of several factors," di Taranto said. "The devaluation of the gourde (Haitian currency), which means an increase in the price of baseline products like medicine, food and water; the drought which has hit many regions in the country; and also the repatriation of Haitians from the Dominican Republic," are all contributing, he said. In June, the neighboring Dominican Republic introduced a tough new immigration policy, prompting 60,000 Haitians to leave the country. Many ended up back in Haiti, straining an already vulnerable system. 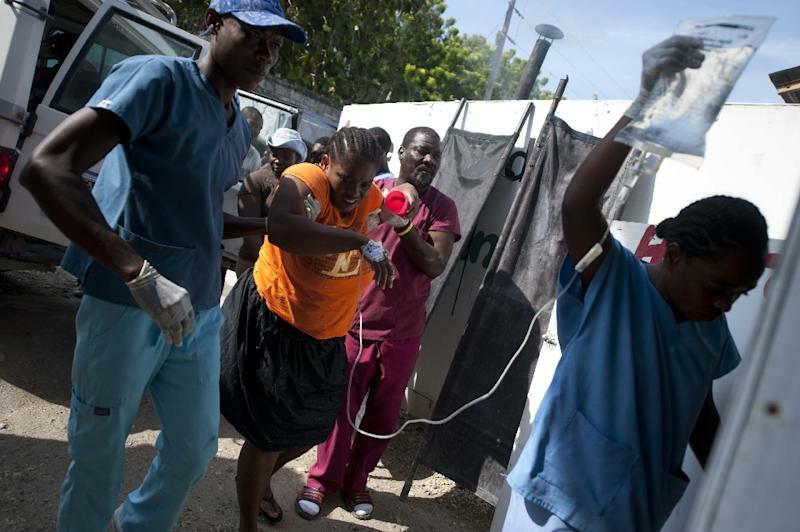 The uncontrolled flow is exerting a "demographic pressure on the already very weak health system in Haiti and on the supply of food and water," di Taranto said. He said the problems are especially bad in the southeastern community of Anse-a-Pitres. Many families who returned from the Dominican Republic are living hand-to-mouth in shanties. The effects of climate change are also encroaching. The summer drought previously confined to country's north has crept into the south. "In the Cayes region and the Macaya natural park, water sources are dry," di Taranto said. "It's a problem that's spreading." Haiti, which has lost 98 percent of its forest cover, has seen worsening agricultural conditions and topsoil erosion. Because of this, the warm air current from "El Nino" is affecting Haiti more than other countries in the region. "We need to launch public rural development programs which let us confront these climatological dynamics that we can't control," di Taranto said. To address the immediate humanitarian emergency, OCHA estimates it will need around $25 million in the next four to six months. But five years after the devastating earthquake that killed more than 250,000 people, international aid for Haiti is diminishing. It's a situation that directly threatens help for more than 60,000 victims of the quake who are still living in camps. To access a broader pool of potential donors, the United Nations is planning an online crowdfunding campaign and also using celebrities to draw attention to the cause. The last such visit was from the singer Beyonce in May.